With the baby coming in 8 short weeks (EEK!) it's time to get moving with getting the boys' "new" room ready. I vowed to paint it before we moved them in. Lucky us, the playroom/their new bedroom was already white. Therefore, we didn't need to put a bazillion coats of primer on, like we did with the living room. 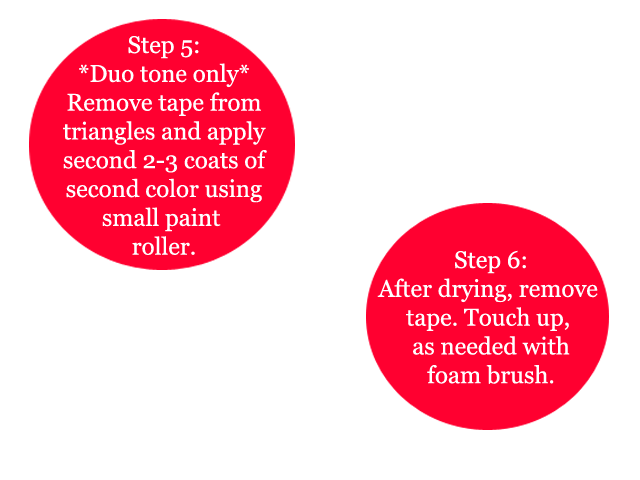 Note: Still apply one coat of primer in your primer color before completing any other steps. Whites never, ever seem to match each other. This post is very image heavy, as I provide the painting steps in simple format via images first; then further explain below. If you haven't already, take a look at my tips for crisp, clean lines and designs on textured walls, that I posted earlier this week. 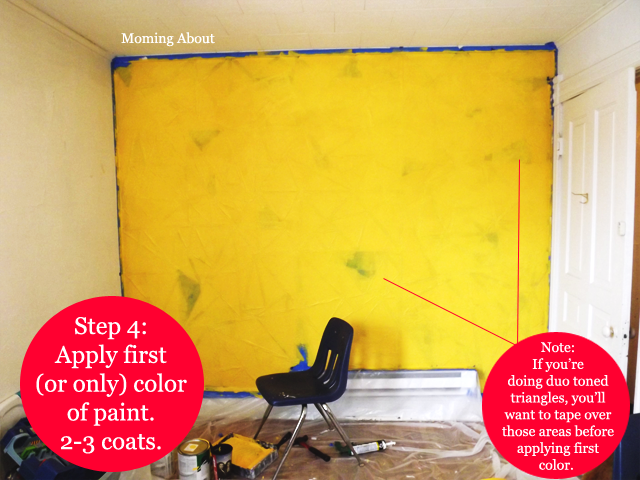 First, you need to tape off the wall edges and your trim. Then, you can start doing your triangles. It helps to have 2-4 lines that span the length or width of the wall to get you started. Then it's a lot like connect the dots (except it's lines). I chose to do triangles instead of squares because me and the leveler are not the best of buds. It wasn’t necessarily faster for me to do the random geometric triangles than to do precise squares, but that’s probably due more to my inexperience than anything. Depending on how many triangles you want, how big or small you want them, and the size of your wall; your time frame will vary. I worked on it off and on over a week. After reading about how caulking tape on textured walls could solve the bleeding problem that I was dreading; I knew I had to try it. It works and it's worth the hassle. I say that because, if you're doing it alone, it can be quite tedious and time consuming; especially in this case where there's lots of lines. My advice is to grab a partner and have them squirt along the lines, while you follow behind and smooth with your fingers. Apparently, paintable silicone caulk is best. For good measure (and because I didn't caulk all of the lines, because my husband convinced me I didn't need to...he was wrong), I went ahead and primed over the whole thing before getting into the actual painting. One coat should do. Also, if you're doing more than one color of triangles (I did two), you'll want to tape the triangles of the second color off now, too. Using a paint roller with minimal paint (still being cautious of running paint, just in case) apply 2-3+ coats of paint, until you're satisfied. Allow to dry between each coat. 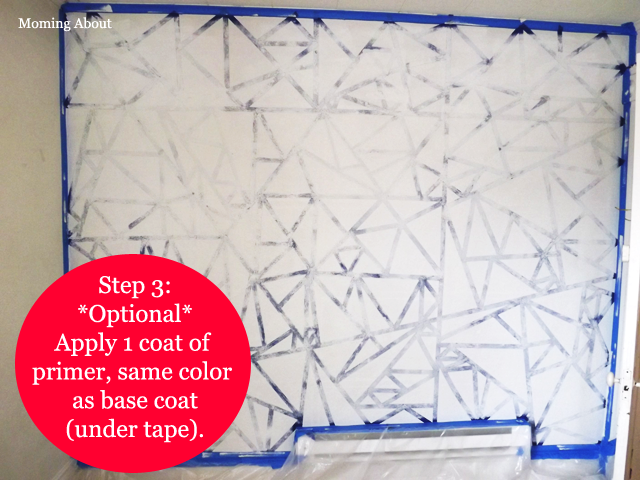 If painting more than one color, remove taped off triangles you want to differentiate from initial color and repeat step 4. 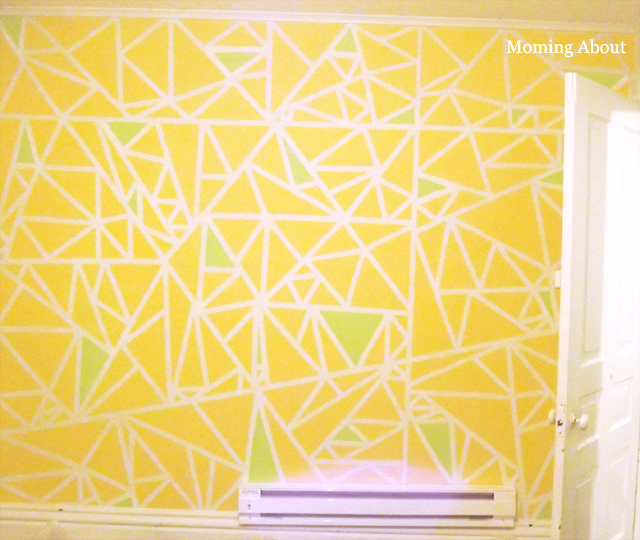 Remove all your tape and admire your handiwork! If needed, touch up with a foam brush. I had a few spots where the caulk came off with the tape. 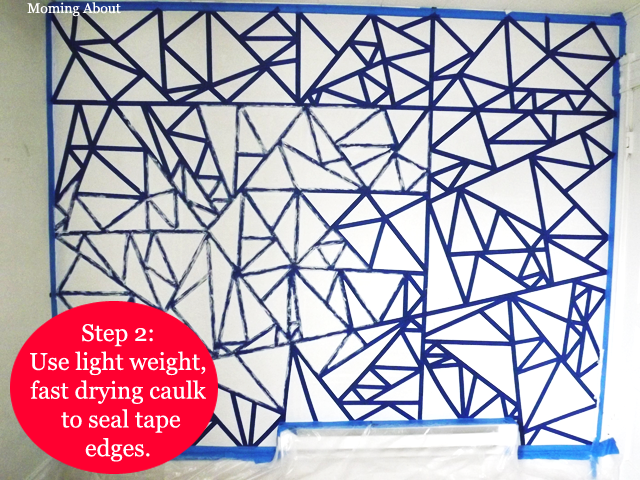 If your walls are not textured, you could easily follow this tutorial, eliminating the caulking and probably the primer, too. That is great! Thanks for the how too. We painted metallic stripes in my sons' room. and that blue tape is key to making sure it turns out right. Great job! I was looking at the metallic paint today, but I'm not sure how many accents are necessary before it's overkill. We've got one more cool project to add to this accent wall that I can't wait to share. This looks SO cool! I want to do this in my house! Thanks so much for sharing! I can't wait to try it out and I know just the room! I hope you'll share when finished! That is a one of a kind wall! Great job! 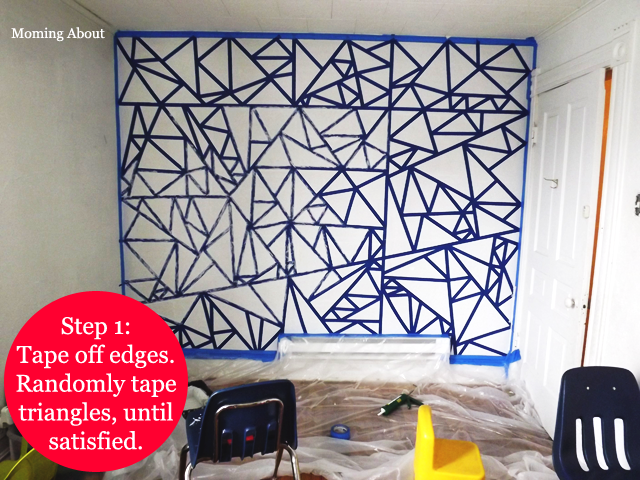 Pretty cool geometric painting idea and tutorial. Thanks! Lot's of possibilities using different colors and textures. 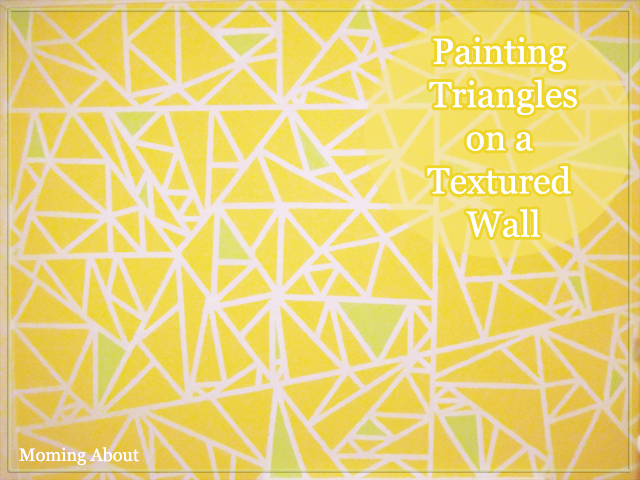 Your child will enjoy their one-of-a-kind triangular wall mural--great job on it! We moved homes 6 months ago and we're slowly but surely painting all the bedrooms. We have been in our home like 2 years and just finally are getting around to covering up all this awful paint! I would never ever of thought of doing that but the results are great. Pinterest is a gem, for sure. Very interesting post. Terrific wall. Don't know if I would do it because it is so time consuming, but it really looks great. I picked it because the shapes didn't need to be symmetrical and I didn't need to use the leveler. It wouldn't be as time consuming if you were going for a scene with larger triangles. That looks really cool. I have been wanting to do something like that on a wall. What an awesome idea. I will try this in my daughter's room. Please share when you do! Seems like a lot of work, but it looks amazing! I think if you weigh the work against the reward, it was definitely worth it. 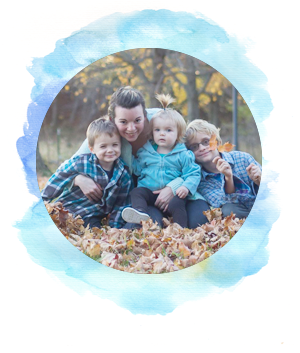 Plus, projects like this are teaching me so much about DIY. This turned out gorgeous!!!! It would be perfect for my son's room. . . I wonder if I could get brave and tape off a giraffe pattern using this method????? I'd just be concerned about the curvy nature of something like that, because tape is pretty straight and angled. Unless you went abstract, which could be totally cool! oh wow the tedious work of taping off these areas was so worth it, looks great! Yeah, I could have created less (yet larger) triangles to make it less tedious, but I like how it turned out! Wow - wonderful job. Looks like it should be on the home and gardens network! That is a really cool effect. This is something totally different with a huge wow factor. Thanks for the tutorial. Your wall came out so great! This is an awesome tutorial and it seems like such an easy thing to do. I wanted to give my daughter's room a twist but I always thought it's something really difficult to do. The image step by step instructions were amazing. Thanks for the tips. I was terrified it that, after all that work, I'd be disappointed, but I'm really proud of myself. Love it! That is such a great idea for textured walls. Love the yellow color. Textured walls are such a beast to do, even if you're painting them one solid color. This looks as fun to do as it turns out in the end. Job well done! Oh my gosh, I so want to repaint. The wall turned out great! This is a great idea! And the instructions are very throrough and well done. Thank you!